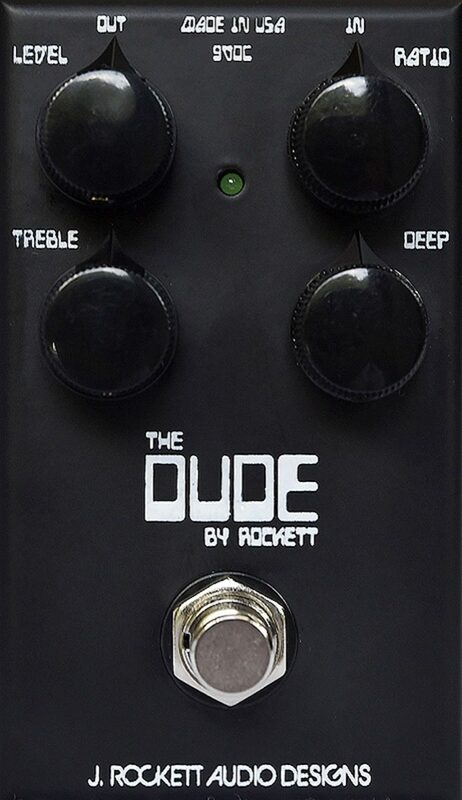 The Dude is J Rockett's take on the legendary Dumble Overdrive Special. 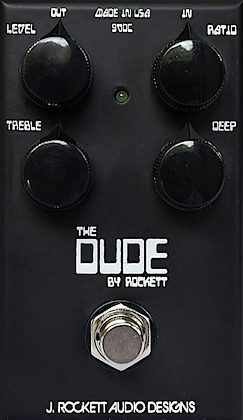 The Dude can go from clean boost to classic Dumble sounds to high gain. Please experiment with settings and be careful with the output...the Dude is loud! zZounds is an authorized dealer of J. Rockett Audio products. Overall: Such a great pedal!!! Completely versatile where the ratio knob does something I've never used before in a small stompbox. From real clean boosts to super lush overdriven crunch. Built like a tank! Love this pedal! Overall: Great sounding, easy to find a great tone, built like a tank. I love this thing. So responsive to pick attack and offers an overdrive sound that is probably targeted towards the more experienced/mature player. It's a staple on my pedalboard.